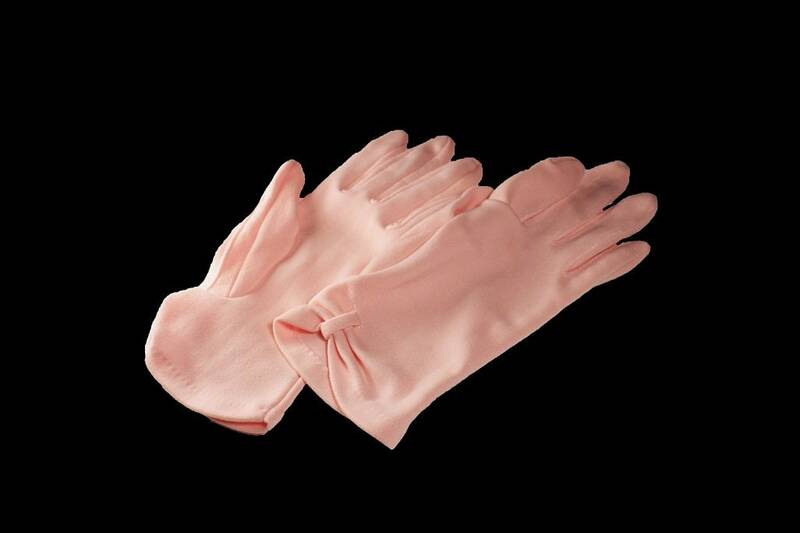 A lovely set of pink ladies gloves made in the USA by Fownes NYLO. 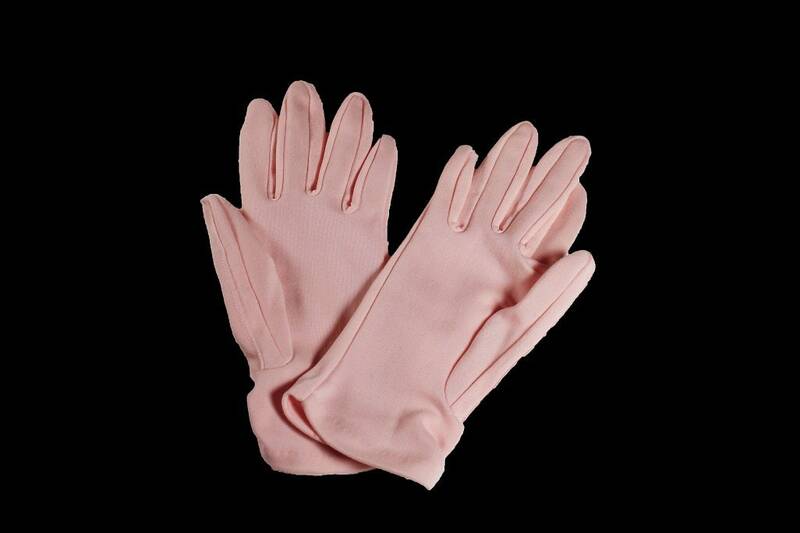 These gloves are wrist gloves and very elegant. These would be perfect for anytime a touch of elegance is needed. 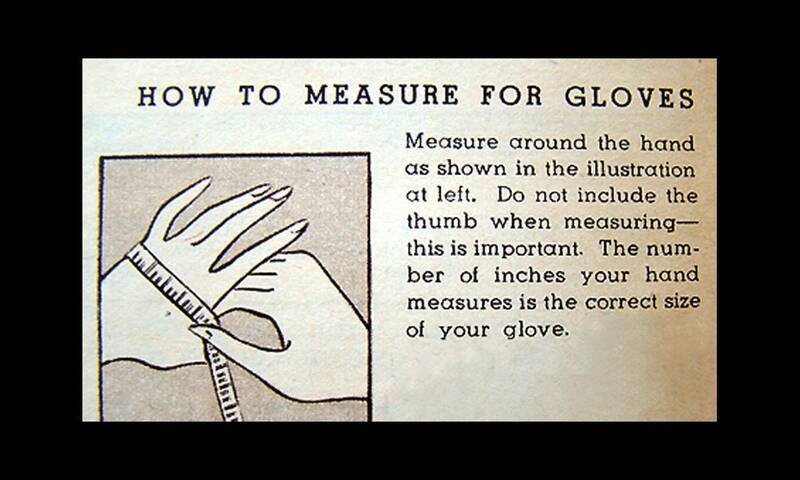 A great accessory for a suit or dress. 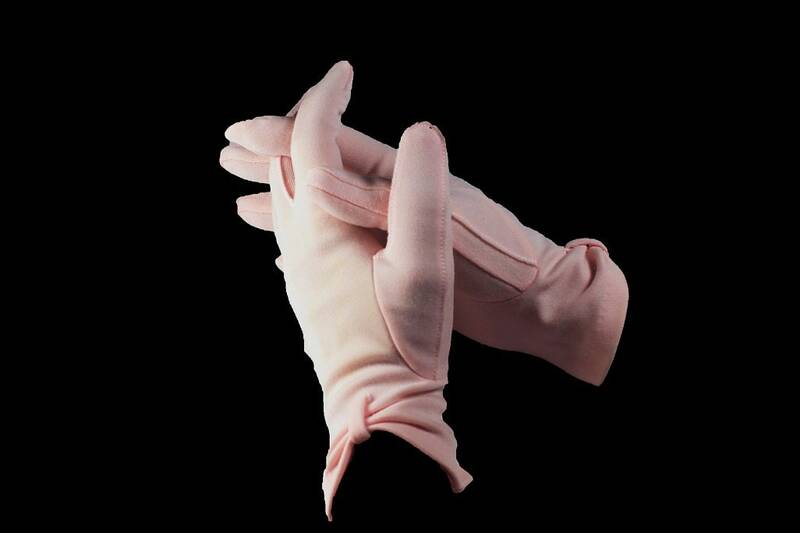 These types of gloves are making a comeback in style. 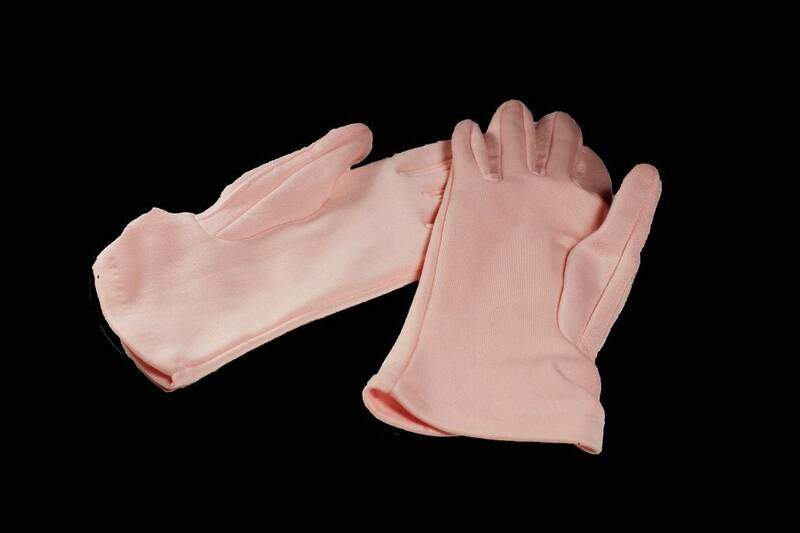 The gloves are in good condition. There are no rips, tears, or pulls. 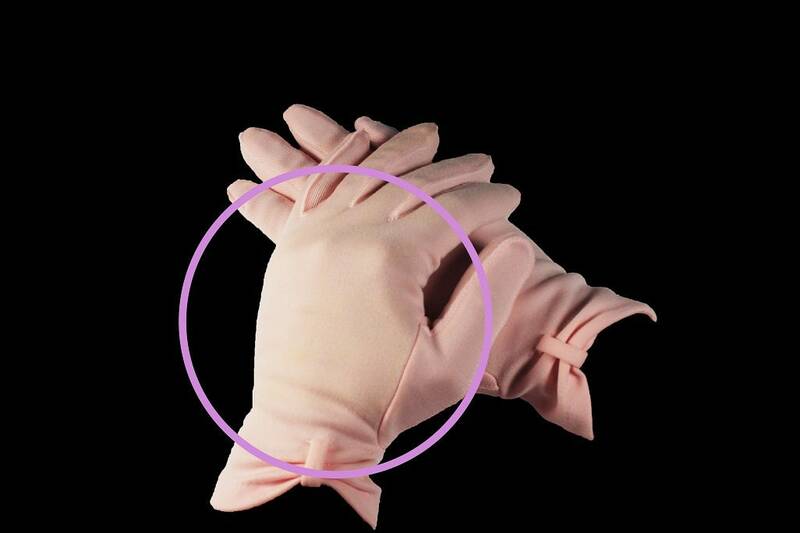 The left glove does have some light yellow staining due to not being stored correctly. 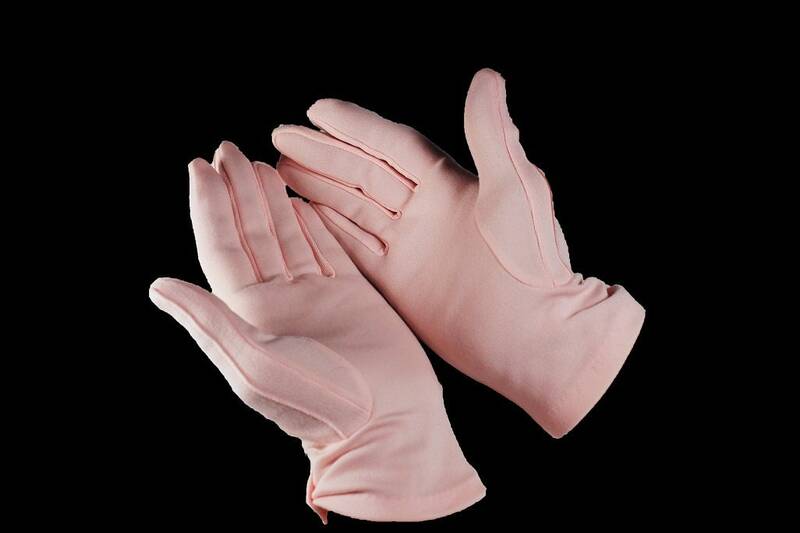 They are clean and ready to wear. 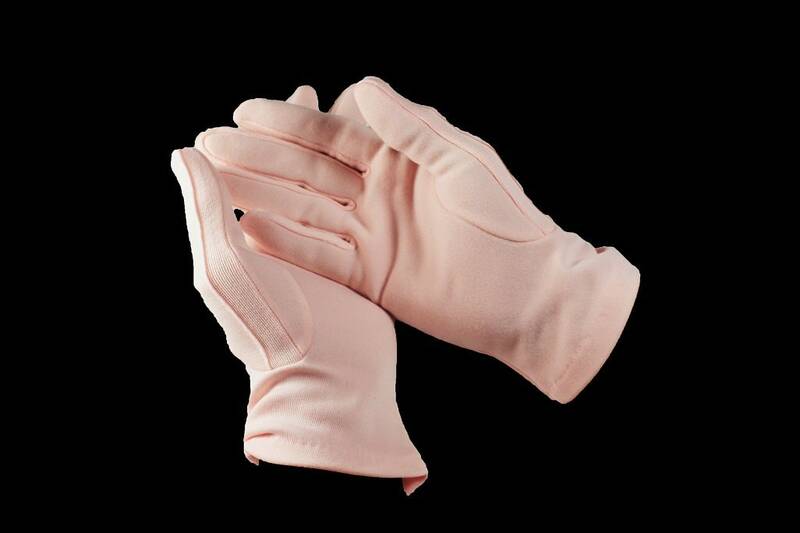 Our price reflects the light yellowing of the one glove.